Snapchat filters for funerals, as morbid as that may sound, are beginning to pop up and the idea of using the smartphone app to take selfies isn't quite against rights for funeral respects. The geofilters can actually serve as another way for people to pay their respects to the deceased. 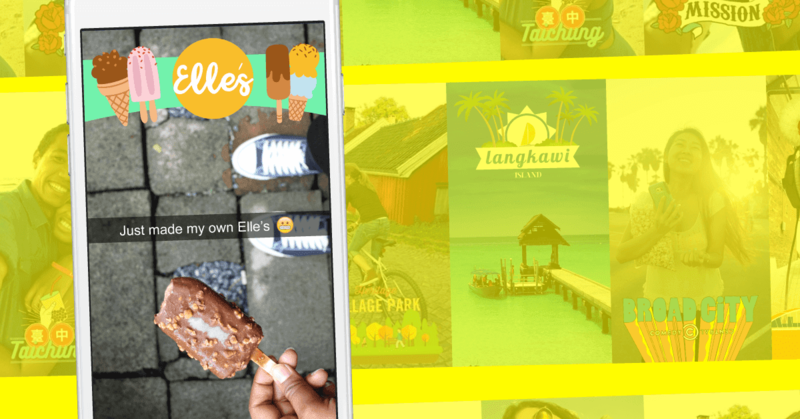 While the majority of orders for geofilters are for birthdays and weddings, less than 1 percent are for funerals, according to analysts. As the cartoonized character of a deceased friends or family members can also be seen as tributes. And for a payment of just between $60 and $120, you can get a funeral geofilter made, perhaps will help put an end to the rather 'sad funeral' in which everybody is wearing black which isn't as common these days. If you can afford to pay a little extra, you can also get a little caricature of the deceased on the geofilter. Selfies have so permeated modern day culture that they've even spread to moments of grief. As such the filter to represent the deceased is special, because it's theirs, even if it's a funeral. These funeral selfies aren't any different from the good-old Victorian death photos. In the mid-1800s, families would take photos with a deceased loved one, propped up to look like they're still alive. The idea was to recapture a person's last impression in their final moments. Nowadays, with the help of technology shaping how we interact with the world, and the growth of social media purportedly weaned on the dearth of decorum at funerals, may perhaps mean an uptick in using social media to re-imagine memories at funerals.